Backed by a sophisticated infrastructure and skilled workforce, we are capable of offering a superior quality range of Blast Furnace & Stove Bricks. The offered bricks prove to be a cost efficient accessories as these help in preheating of air blown into blast furnace in a hot stove. Offered at cost effective prices, these are also available with customized specifications without compromising on quality. We provide our clients with premium quality of Insulating Bricks that are made using high grade material. Light in weight, these bricks are highly in demand by our clients for sturdy construction and smooth functionality. Moreover, our range of insulating brick does not get affected by heat and is resistant to abrasion. Further, our products are thoroughly tested so that these may not crack easily under the effect of continuous heat and flames. Available with us is a superior quality of Special Insulating Bricks that is highly in acclaimed by our clients across the nation. Our range of products can withstand high temperature and can be customized in various shapes . 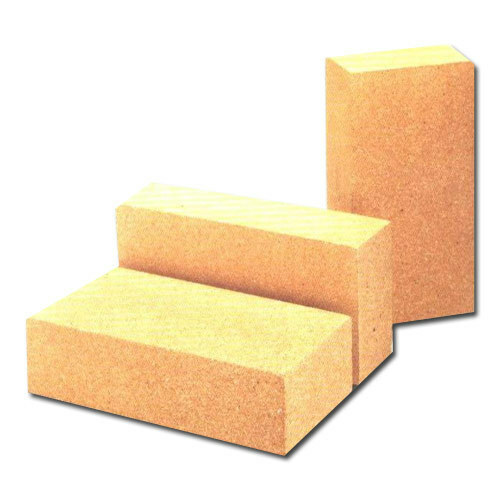 Manufactured using high grade material, these insulating bricks are as per the designs and specifications of our clients.